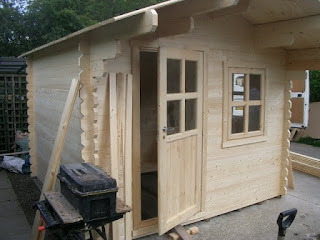 It was good to Alex Johnson from Shedworking on the BBC news this morning. 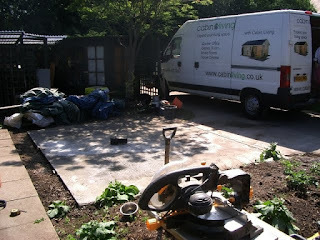 We like to see the value of working fom home from a purpose built shed getting some air time! Ofcourse Bill is debating whether a shed with electrical power, insulation, and a sofa can even be called a shed. 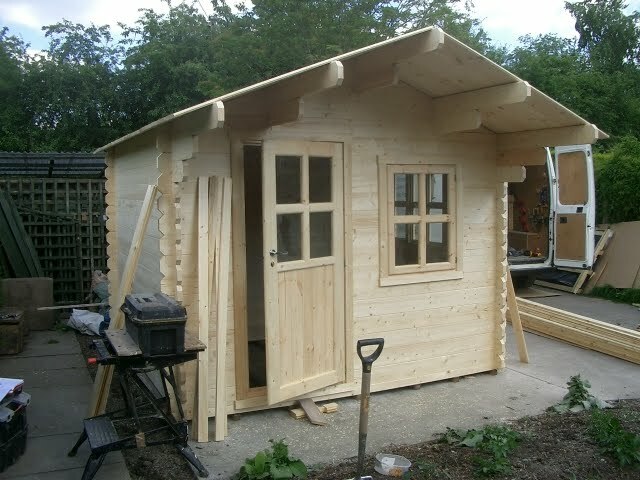 We tend to call them log cabins, summerhouses or garden offices, but shedworkers have a fondness for "shed" which plays down, quite deliberately just how good they are. A well kept secret at the bottom of your garden! 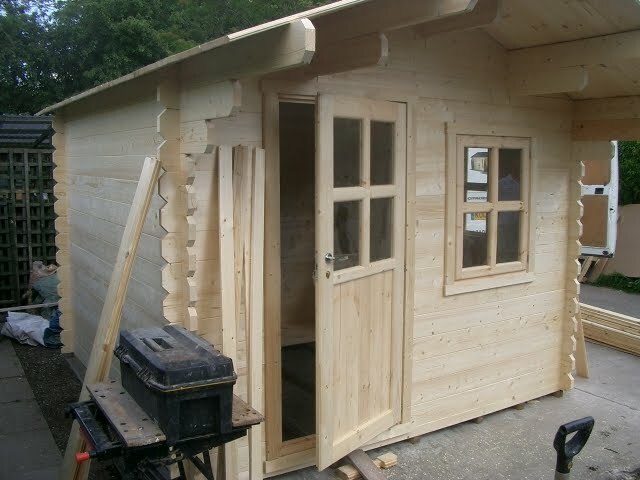 We were installing a log cabin in Crewe last week and here is our customer feedback. 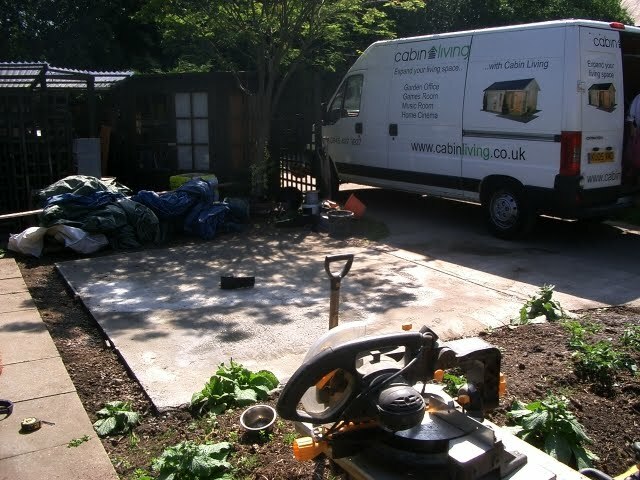 "Would just like to say, thank you so much for a great job done with the cabin installation. My mum is very pleased indeed. It is wonderful to find someone so trustworthy and true to their promises. We are delighted." 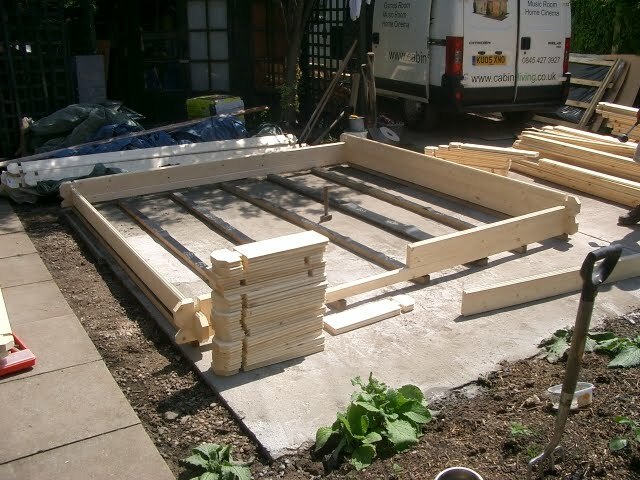 Quite a large area of hardstanding already for this log cabin so it was a case for extending the existing base with a saving in materials leading to a saving on the base installation cost for the customer. Set up and ready to go. 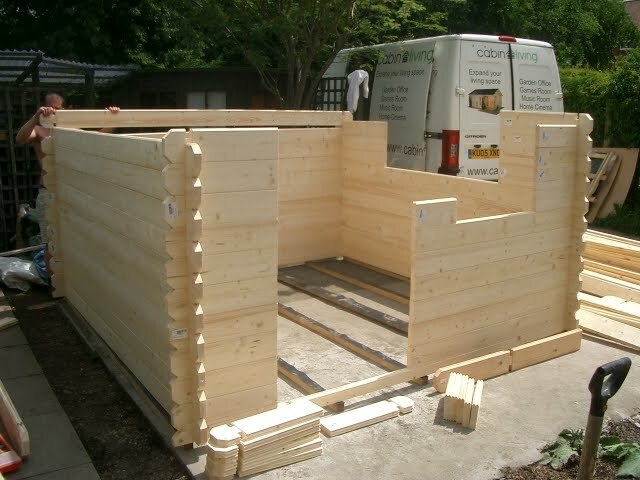 We are on site ready to collect and unload the log cabin delivery. Damp proof course fixed to pressure treated floor timbers and we can start the log cabin assembly. Almost time to insert the double glazed doors and windows. Windows and door fitted and roof boards are fixed in position. Time to fit the 20mm tongue and groove floor boards. Bitumen roof tiles fitted. Hexham green tiles in this case. Some roof boards will need trimming prior to fitting these. Add the exterior and interioir trim and we are almost there. 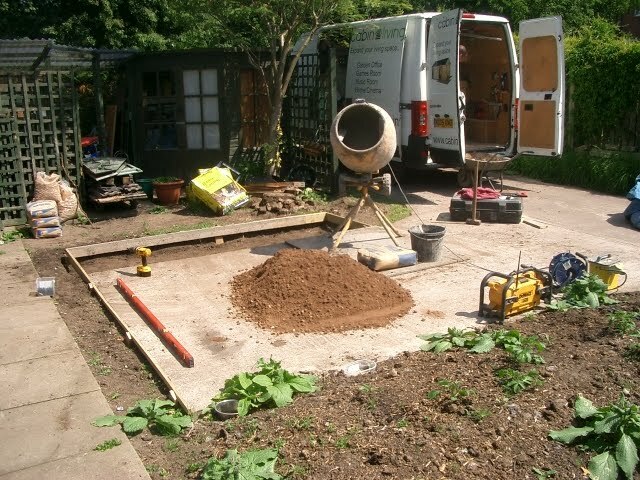 Trench dug over 450mm deep from the cabin back to the house ready for the armoured cable and the electrician is booked to do the final connection. 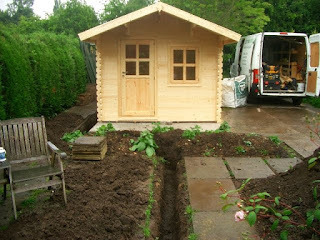 Another suuccesful log cabin installation from Cabin Living and just before the rain started too! There really is only one way to watch the football this summer! Catch the afternoon sun, sip a beer or two and watch the football drama unfold. 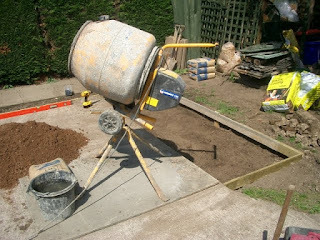 Or for that matter it could be the perfect way to enjoy the tennis at Wimbledon. Pick a few strawberries from your garden and settle down to a few sets of tennis in the sun. 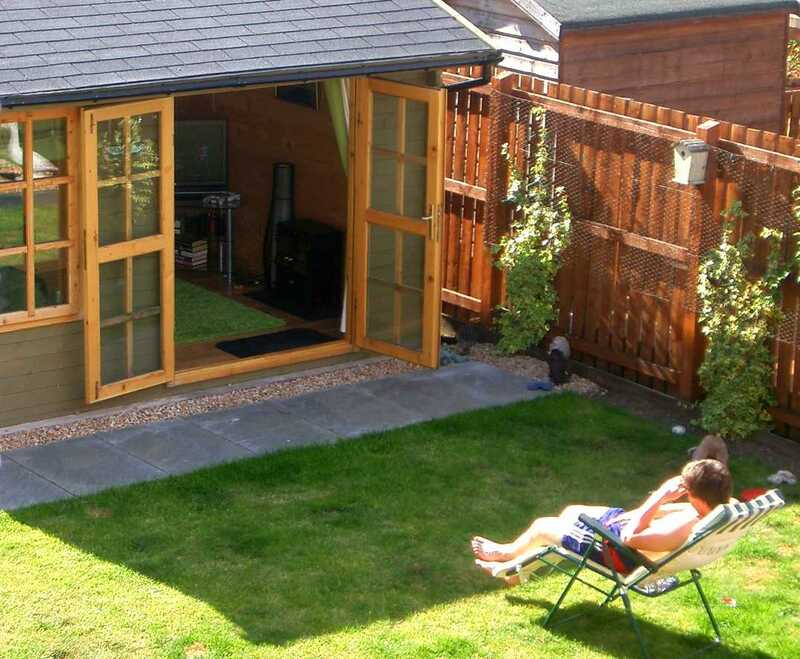 Cabin living doesn't just mean working from a garden office, it can be entertaining too! 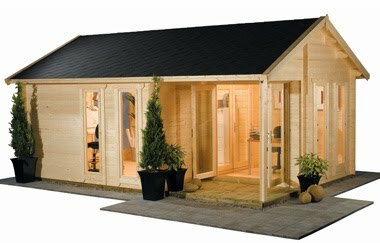 Our latest addition to the 2.5m height range of log cabins is the Cheltenham log cabin. 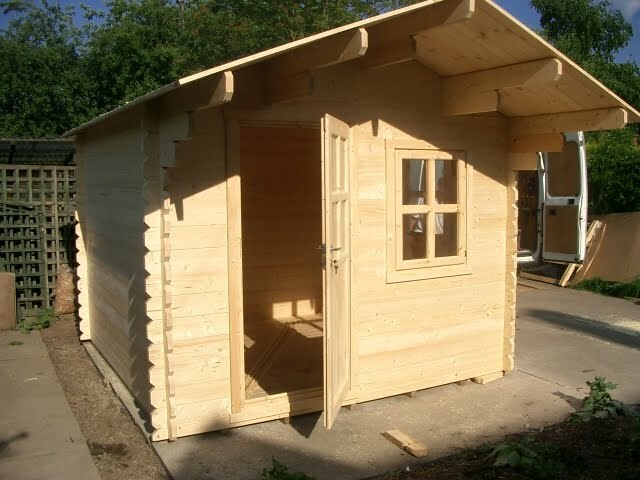 Based on the Aylesbury log cabin it still uses 44mm walls and has good quality windows and doors but can be reduced to the 2.5m ridge height to comply with the new planning rules for England. As regular readers will know planning rules changed so that any garden builing within 2 metres of your boundary for properties in England must have a ridge height of less than 2.5metres. If finding the right garden cabin can be hard then finding the right log cabin installer can be even harder! We try to make this process as straightforward as possible. If you know what log cabin you want or perhaps you've even bought one elsewhere we can install it for you. 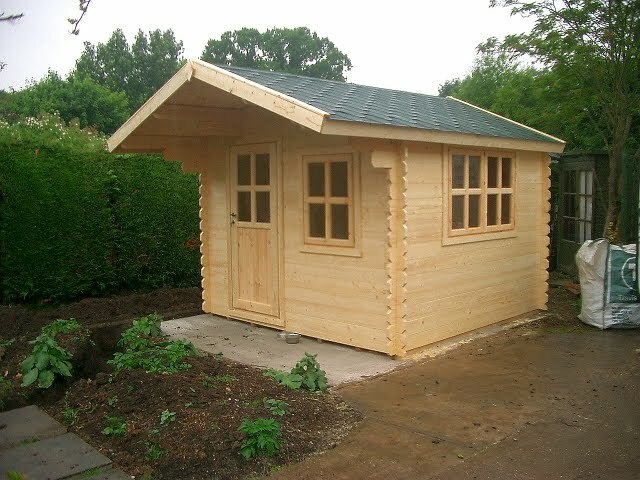 What will it cost to install my log cabin? If you can't find your model do not despair! 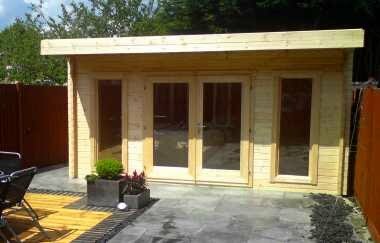 All our prices are based on footprint so if you can find a garden cabin with a similar footprint to the one you've bought the prices for instalation will be the same. 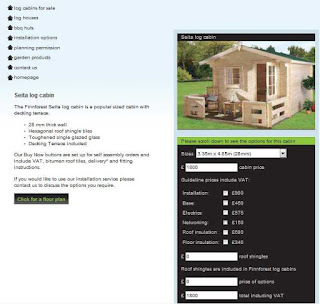 Our prices do not vary depending on your postcode. 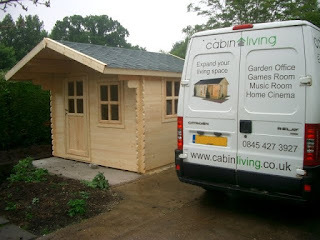 Cabin Living is a dedicated installation team, we do not sub contract installations to third party builders. We hope you find it easy to navigate around our site and find the log cabin installation prices easy to find but if not or if you have any questions about the other installation services not quoted on each garden cabin page please do not hesitate to contact us. 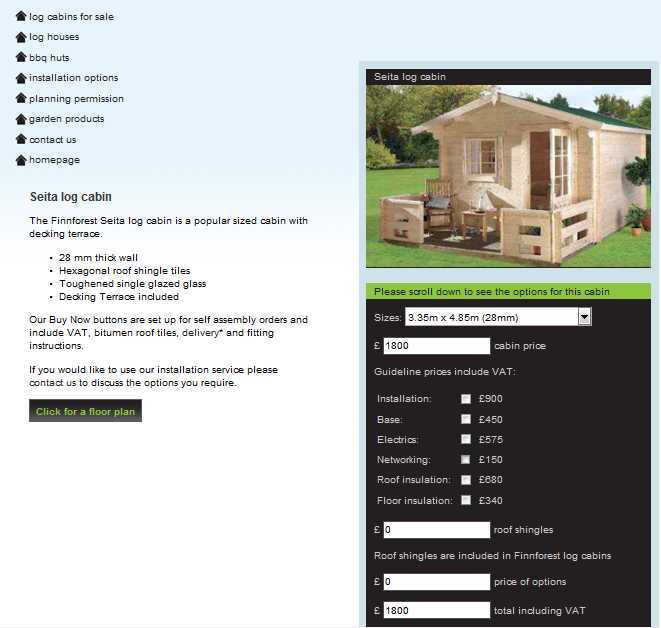 Buy log cabins before the VAT rise! With the growth forecast being downgraded it is more likely then ever that VAT is set to rise. Time is running out to save what is expected to be a 2.5% rise in the next budget on the 22nd June. 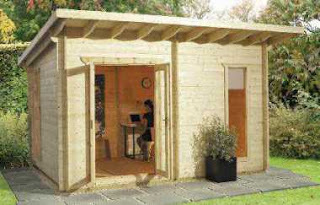 There is only seven days left to place an order and save some money on your garden office or log cabin for the garden.